German endo spine specialist the joimax® group is boasting a jump of almost 80% in its sales figures vs. 2016 in the U.S. Consolidated sales show a growth of nearly 30%, which reflects its CAGR of 35% since 2008.
joimax® develops and markets complete systems for endoscopic minimally invasive spinal surgery. The company offers solutions for spinal decompression procedures, facet and sacroiliac joint treatment and minimally-invasive endoscopic assisted stabilizations. joimax is demonstrably gaining a strong foothold throughout the U.S.based on the inclusion of the newly created AMA CPT code 62380 for endoscopic decompression of the lumbar spine and the worldwide increasing adoption rate of these types of procedure. joimax has now added the MultiZYTE® Facet and SI Joint Treatment Set to its U.S. armoury. Treatment of the SI Joint is a rapidly growing new field worldwide. To accompany the launch, joimax will be showcasing the system at the forthcoming 3rd International Conference on Sacroiliac Joint Surgery (ICSJS) in Tampa, FL from Feb. 21 to 24, 2018. In Asia joimax is celebrating the recent approval of the (pictured) Endovapor® 2 Multi Radio Frequency System also in China. 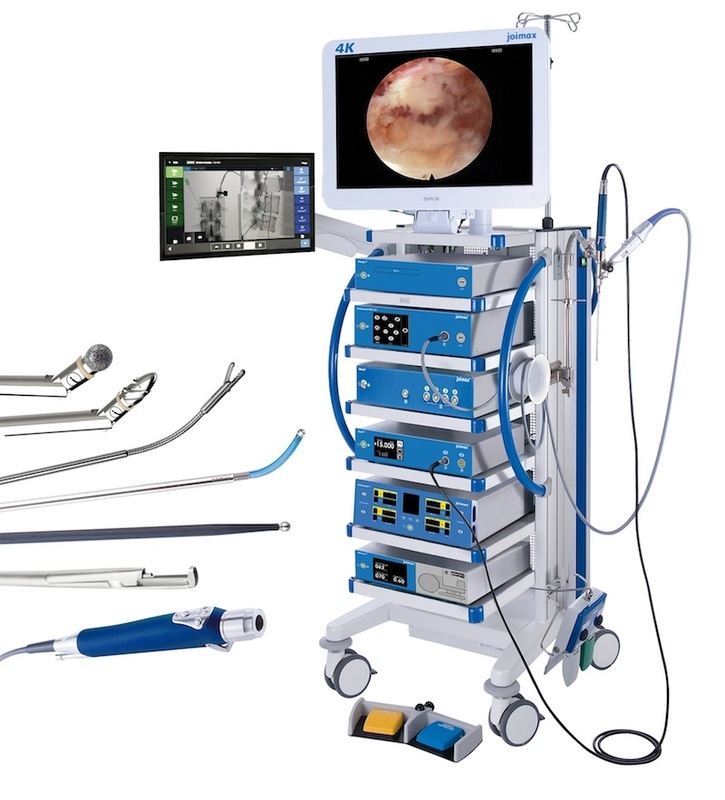 This system generates electrical power for monopolar and bipolar cutting and coagulation of tissue structures in surgical operations.